Its rare that a series of video games with a meaningful philosophical root exists, aside from cases of nebulous associations such as “all first-person shooters owe something to DOOM” or “most western fantasy theming in video games owes something to Dungeons and Dragons.” The Soulsborne games (a portmanteau born of desperation more than anything else), however, definitely is such a series: even in the case of Dark Souls II, a game in which Miyazaki’s absence was made conspicuous by the blatant fan-service and over-reliance upon volume of enemies rather than design of levels to create challenge, the guiding ethos of the provision of a world with a solid set of inviolable, in the main, rules to govern the interactions that occur within that world shines through. While the expectation of such a world is realised in Bloodborne, there is a great deal of violence done to the integrity of that core tenet of the philosophy of the series. This mind-blowing boss? Just some big guy. 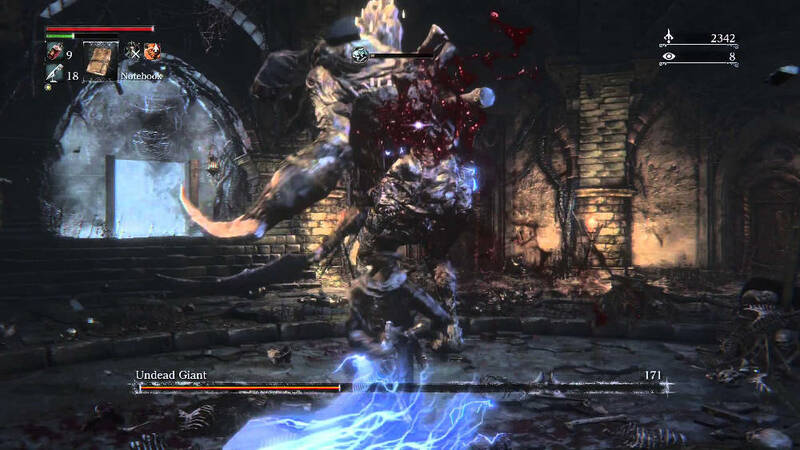 The core perpetrator of this violence is the inclusion of the Chalice Dungeons: where in the previous games, the design of levels and decisions made around enemy and item placement have defined both narrative and ludic elements, there is a sizeable chunk of Bloodborne that either have been generated randomly (in the case of the Root chalices) or have the feeling of being generated algorithmically. In the latter case, the evocation of this feeling is a greater count against the game given that these areas are supposed to be story significant: in a series that has previously had an incredible internal consistency with regard to the intersection of explicit narrative and narrative emergent from environment, a story-significant area of a game that has such nonsensical environmental features as bridges that lead to empty caves, with these dungeons having multiple levels with very little variety, is something that is difficult to see as anything other than incongruous with the ethic of the game. The core elements of interaction in these areas is just as satisfying as the rest of the game, with combat being a fluid, aggressive take on the previously measured and weighty combat of the previous games, but the repetitive nature of the areas, with a gameplay loop of “find a switch, kill a boss, go down” and little else, combined with previously “normal” enemies being rebadged as bosses serves to undermine these areas a potentially novel takes on the core mechanics of the game. Slogging through this repetitive misery is not even particularly well-rewarded: the items found in these areas tend to be items for the generation of further Chalice Dungeons that do not have any purpose outside of this context. The reward of somewhat unsatisfying gameplay with the potential to undertake further unsatisfying gameplay is hardly the most compelling. Perhaps this flaw is somewhat of an unfair one to get so hung up on: the Chalice Dungeons are, after all, optional content within the game, with the story being completable without the player ever setting foot in one of these areas. Other iterations on the Souls formula, however, have served to lessen the experience of the game. The change to health regeneration items, changing them from a regenerating resource which replenishes following a given action to a consumable resource with a hard cap on how many can be carried at any given time, serves to turn the game into an exercise in farming for health regeneration items at times, where previously the Souls games had some exceptionally well as an RPG to not necessitate grinding for any resource. While some change would be necessary for a new entry in a series like this one to prevent the games seeming too much like previous entries, all change in Bloodborne appears to be to the detriment of the game. 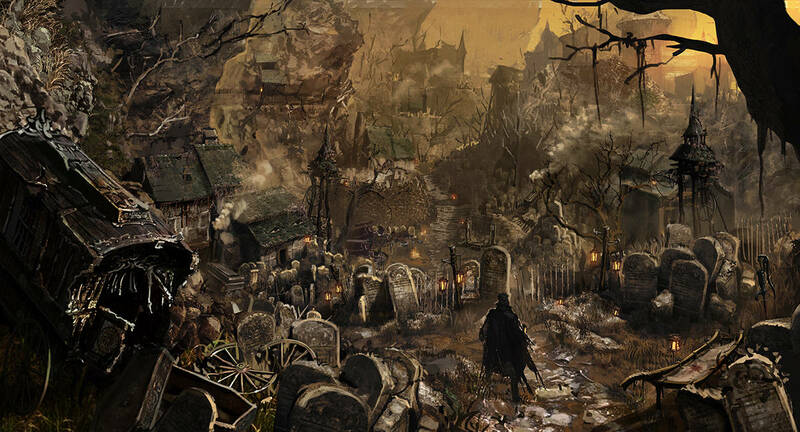 It would be more than unfair to say that Bloodborne is a bad game: it certainly is not. It is certainly a game worthy of From Software’s heritage in the series and in other games they have developed. It feels like a pale imitation of Dark Souls, however, even as high as a benchmark as that is. Maybe this reaction is borne of an element of myself being unwilling to let go of the wonderful feelings that Dark and Demon’s Souls gave me on my first runs through, having never experienced anything like them. The move from tactical to aggressive combat also makes Bloodborne feel like any other action RPG, more than the considered efforts that previous games.